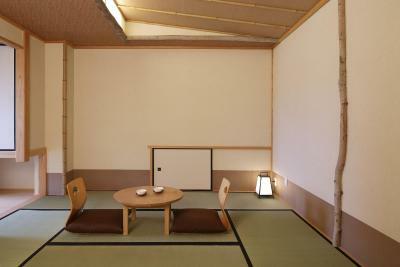 Lock in a great price for Kyomachiya Ryokan Sakura Urushitei - rated 8.9 by recent guests. Well located, and an easy walk to various sites /train stations. Staff were helpful, and laundry service was great. 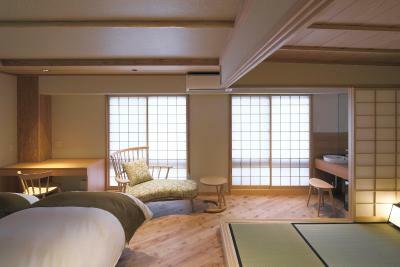 We had a Japanese style room with roll out beds, which you then put away after sleeping. These did take a bit of adjusting too, but were more comfortable once you got used to them. There was free tea in the lobby. To rent a private hot bath the price was still affordable. 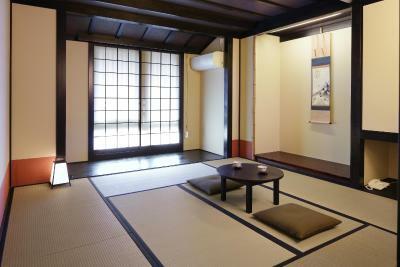 Overall a great experience to a Japanese ryokan. 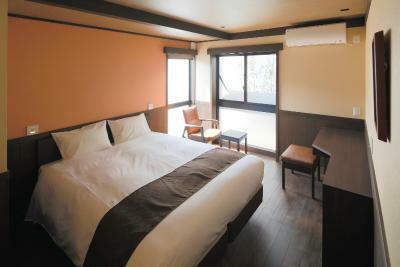 Though it is very basic, don’t expect plush bed and all the hotels amnesties. Good for 2 nights max. 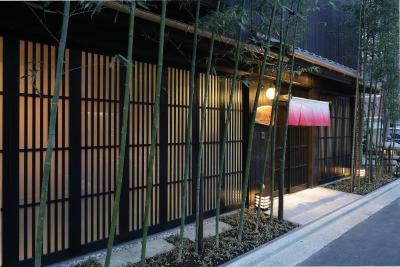 Location is great, walking distance to subway station, Nishiki Market, Gion and lots of food options around the area. The do the laundry for you for 500 yen! Can’t beat that. Facilities have been renovated. The toilet is very clean. The hotel was clean and seemed to be newly renovated. 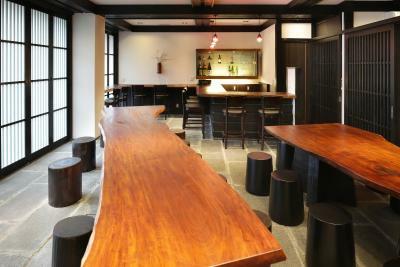 This is a ryokan style hotel with lots of foreign staff which made communication easy. Good location. Great central location, friendly staff and excellent service. Staff very nice. Location is good. Private bathroom. 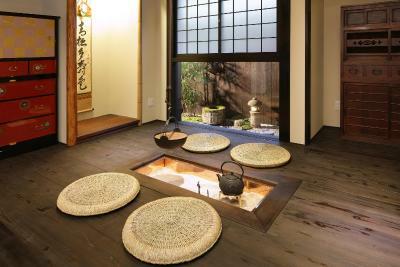 Although this is definitely not a traditional Ryokan, it is a wonderful stepping stone for those who are new to the Japanese culture. 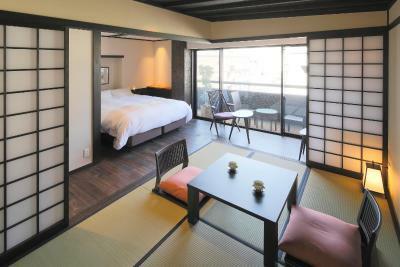 The Ryokan is in an excellent location with beautiful rooms that are decorated in a traditional Japanese style. The staff speak excellent English and are always available to help with any aspect of your stay. They helped us to make excellent restaurant reservations. We had a wonderful stay and would definitely return. 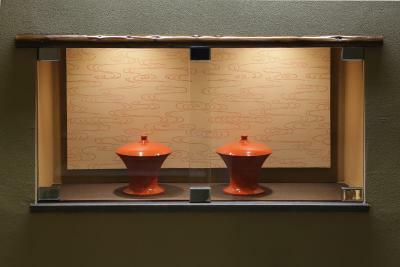 One of our bestsellers in Kyoto! 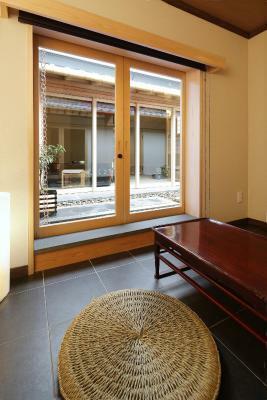 Situated a 10-minute walk from lively Kawaramachi area, Kyomachiya Ryokan Sakura Urushitei offers Japanese-style accommodation with modern facilities and traditional design. 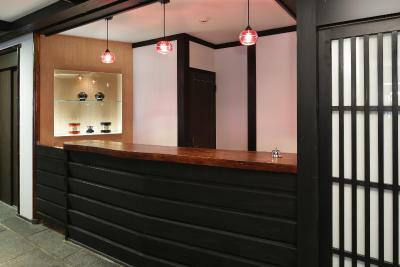 It provides a tour desk and a bar on the ground floor. Free WiFi is available in all areas. 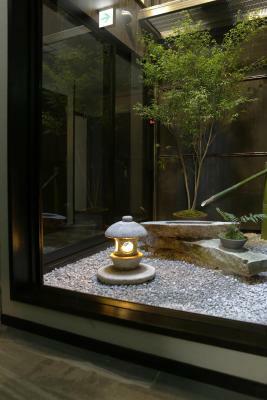 The ryokan is located within a 10-minute walk from Gojo, Shijo or Kawaramachi stations. JR Kyoto Station is a 5-minute subway ride away. Fitted with a relaxing ambience, all rooms come with air conditioning, a fridge and an electric kettle. The private bathroom has a hairdryer and free toiletries. 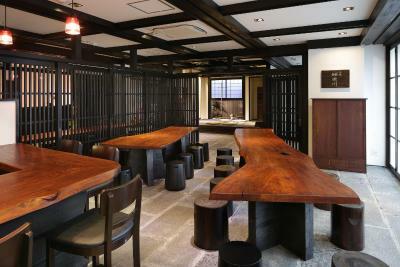 While staying at the Sakura Urushitei Ryokan, guests can use coin launderette on site or consult a tour concierge to book local restaurants and tours. Breakfast is available at the lobby at an additional charge. 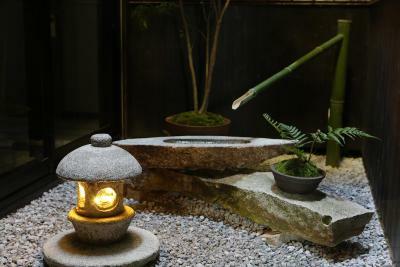 Shimogyo Ward is a great choice for travellers interested in temples, sightseeing and culture. 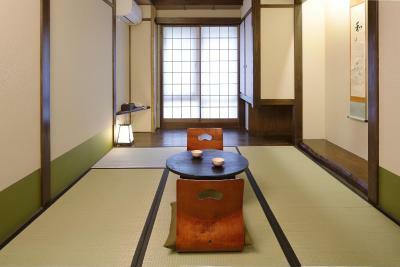 Kyomachiya Ryokan Sakura Urushitei has been welcoming Booking.com guests since 2 Mar 2015. 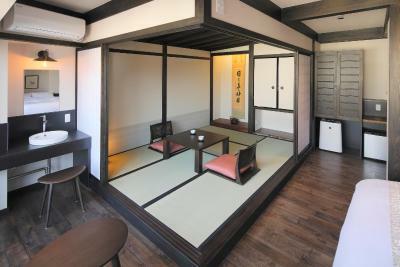 When would you like to stay at Kyomachiya Ryokan Sakura Urushitei? 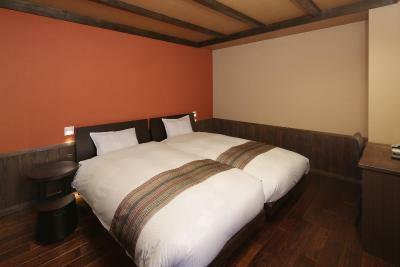 This twin room has air conditioning, soundproofing and electric kettle. It comes with a garden view and a loft area. Property surroundings – This neighbourhood is a great choice for travellers interested in temples, sightseeing and culture – Check location Great location - show map Guests loved walking around the neighbourhood! 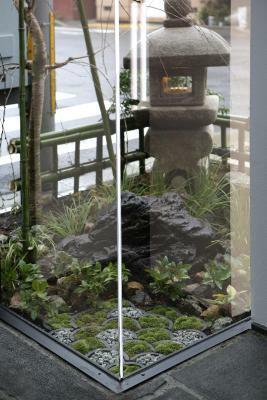 House rules Kyomachiya Ryokan Sakura Urushitei takes special requests - add in the next step! Kyomachiya Ryokan Sakura Urushitei accepts these cards and reserves the right to temporarily hold an amount prior to arrival. The entrance is facing Takatsuji-dori Street. Please note changes of your reservation can not be accepted after check-in. We had a western type room, beds were quite uncomfortable and not enough pillows. As Kyoto was our second stop in Japan and we did experience the Ryokan style before, I thought the price for the hotel was too expensive to experience the Ryokan style and there was nothing for free with exception of the tea, that we discovered by ourselves almost on the last day of our stay.There was the possibility to have breakfast at the hotel, but you needed to book it in advance. They only had the Japanese style breakfast, which is okay, but also very expensive. We preferred to explore around for a more affordable breakfast. Staff was pretentious. Half of the staff wasn't even Japanese - at one point there were two American/European males at the reception. It ruined what was supposed to be an authentic Japanese experience. They nickel and dimed you. 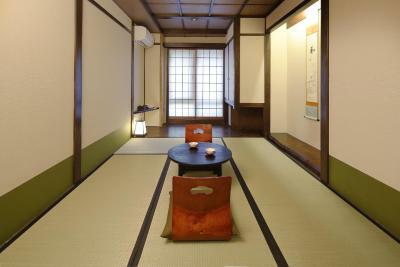 For the price of this ryokan, they shouldn't bill me for a bottle of water, when they didn't even provide one in the room. They also gave free tea, but charged for coffee in the lobby. Really poor service. We were on the front of the Ryokan there’s a bit of street noise - if you are a light sleeper ear-plugs or another Sake or 2 might help! 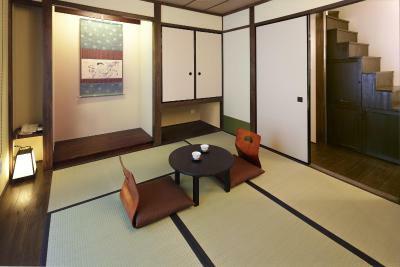 Modern ‘Ryokan’ experience, staff was excellent, futons, decent sized room with a bathroom on-suite - but ‘couples’ bath also available to book - within a 15 -20 minute radius - Nishiki Market, Gion, numerous gardens, temples, shrines and Kyoto Station. My over 50 body found sitting on the floor a little tough. Super clean and the staff was incredibly nice and helpful. Lots of English speakers. The breakfast options are limited. 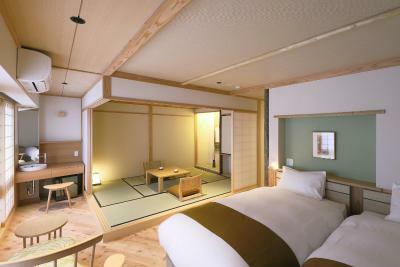 This is a ryokan theme hotel and I was hoping for a more authentic experience. The wifi was shotty at times and the bathroom sink was automated which I found odd. 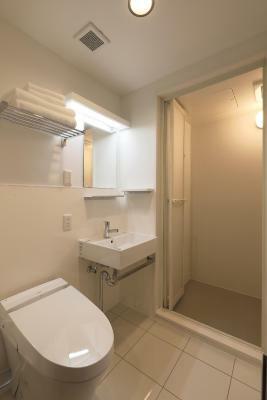 Location is excellent, just few minutes walk from Karasuma station, Nishimachi shopping street. 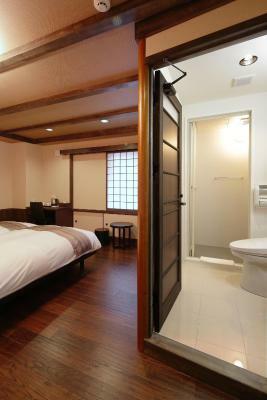 Nice tatami room with toilet and bathroom ensuite. 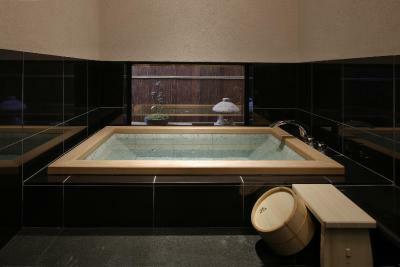 On the high side price wise, however comparable for the ryokan experience.